The steel pillars face outwards at an angle of 48 degrees. 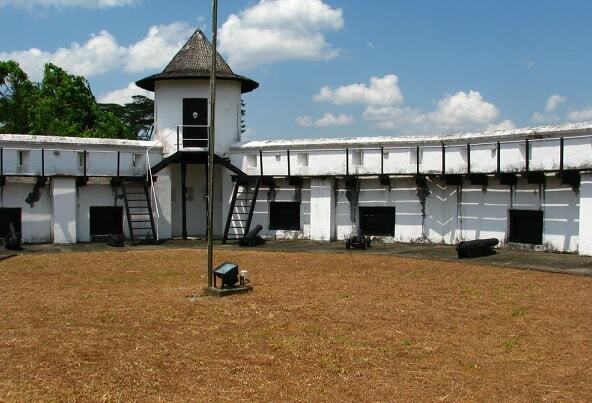 They stand in opposite directions and it symbolizes the balance between the cultures that live together in Sarawak. 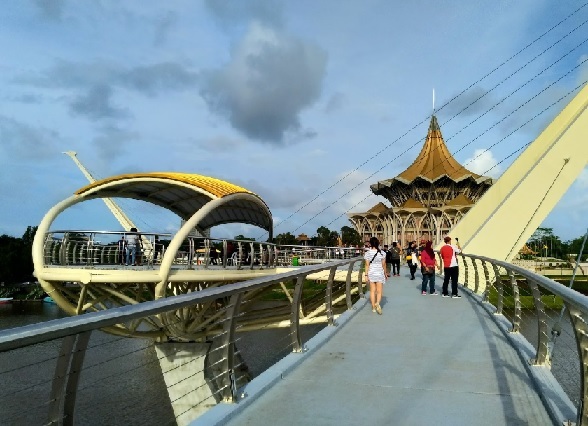 The long S-shaped bridge has elements of the bamboo bridges of the Bidayuh community, but it is a futuristic design. The supporting structure of the cable bridge consists of cables, which are in a steel tube. There are two resting places on the bridge, inviting the pedestrians to enjoy a spectacular panoramic view over the river. The name "Darul Hana" bridge means "a place of peace and quiet" in Arabic. 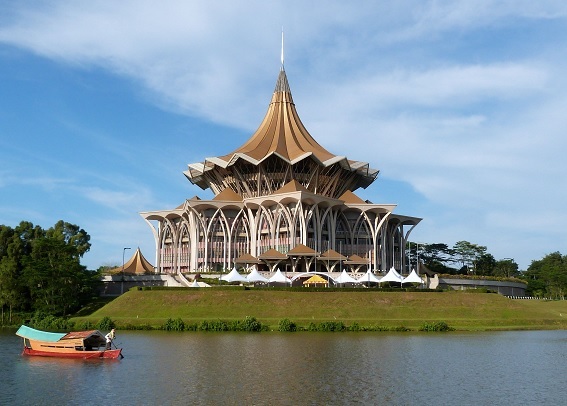 The city of Kuching in Sarawak is divided in two parts by the Sarawak River. To connect the northern city with the southern part, the 'Darul Hana Bridge' was built. There is now an alternative route from north to south, without a detour or transfer by boat. 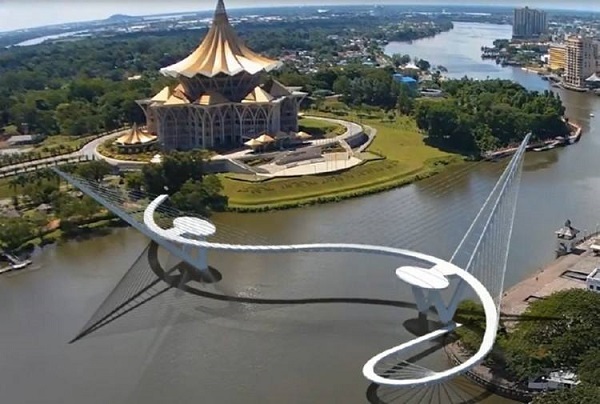 Tourists can now travel on foot from Kuching to the building of the Old State Legislative Assembly, the Botanic Gardens, the Orchid Garden, the iconic Fort Margherita and the current State Legislative Assembly Complex..